Here at Newfound Regional High School, Advanced Placement classes are what many students consider to be the top of the line, in terms of classes to take. Nationwide, in just 2017 alone, nearly 3 million students took an AP test. Those 3 million took a total of 5 million tests, indicating many students took more than one AP course in a years. While that might be a lot of teenagers, there are 15.1 million enrolled in the high schools. Students usually decide to take a AP course because it has the opportunity to give them a free college credit. There are 38 different courses offered from the AP program. NRHS offers 7 different AP classes within school as well as other AP courses online through VLACS. Along with all of these classes, the Newfound students, staff, and school board have decided to make student scores for AP classes weighted. This may cause an increase in the number of students taking AP classes here at Newfound. This school year, underclassmen were allowed into the AP Biology class for the first time, which resulted in three sophomores taking this course. Both Mr. Dumont and Mr. Champagne believe that anybody could do well in an AP class, but Mr.Champagne believes freshman shouldn’t be allowed into these college-level courses. He says, “They need to get their feet wet first.” Summer work is a prerequisite to enter the AP US History class, while in AP Bio summer work has been required in the past. However, Mr. Dumont is considering changing that; he wants to make summer work a requirement to hold students accountable for good academic habits. Both teachers think that AP courses should only be taken by students who are serious about that particular topic, or who are going on to college. Students take AP classes for many different reasons. They may want the better GPA, or they might want to challenge themselves. Advanced Placement classes are for those who want a more rigorous class. 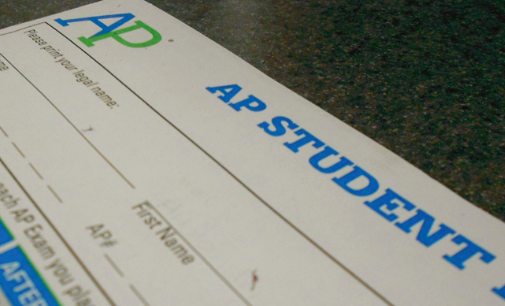 To learn more about the AP courses offered here at Newfound, talk to a student who has taken an AP class, or to a faculty member who teaches one.